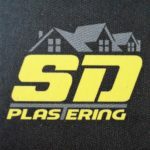 My business is plastering & drylining. I’ve been in the trade 18+ years, since i was 19. The type of work i do is dry-line and plaster attic conversions, exstenions, room re-plastered, also external sand & cement render. S.Doyle has not worked on any project yet.